Welcome to the Puhoi to Pakiri Visitor Strategy research home page. 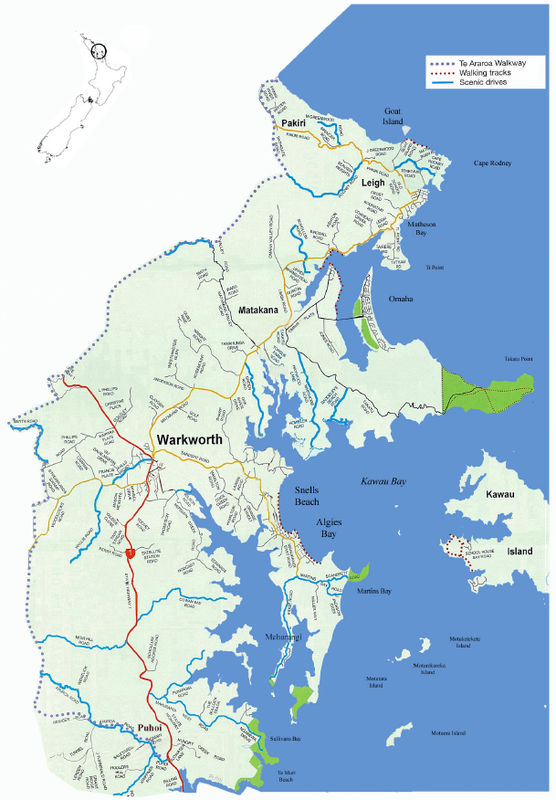 The Puhoi to Pakiri region stretches from Puhoi in the south to Pakiri in the north, and includes Leigh, Matakana, Mahurangi and Warkworth. It has experienced rapid development both as a tourism and lifestyle destination over recent years. Research is under way to gather information to inform a tourism development plan for the area. The research is being conducted by the New Zealand Tourism Research Institute (NZTRI) based at AUT University, local tourism and business stakeholders, and Rodney District Council. The project team aims to draft a sustainable, five year strategic tourism development plan for the region. There are three parts to the research. 1. A visitor survey: for non-resident visitors to the region, including those staying in holiday homes (rented or owned). 2. A community survey: for permanent residents in the region. 3. A business survey: for business owners in the region. The Puhoi to Pakiri surveys have now closed - thanks to everyone who participated.